CCA invites you to join us for a journey into the past with celebrated and retiring BLM archaeologist, Glade Hadden! This hike is full as of 2/13/17. If you would like to join the waiting list, please click the button below. 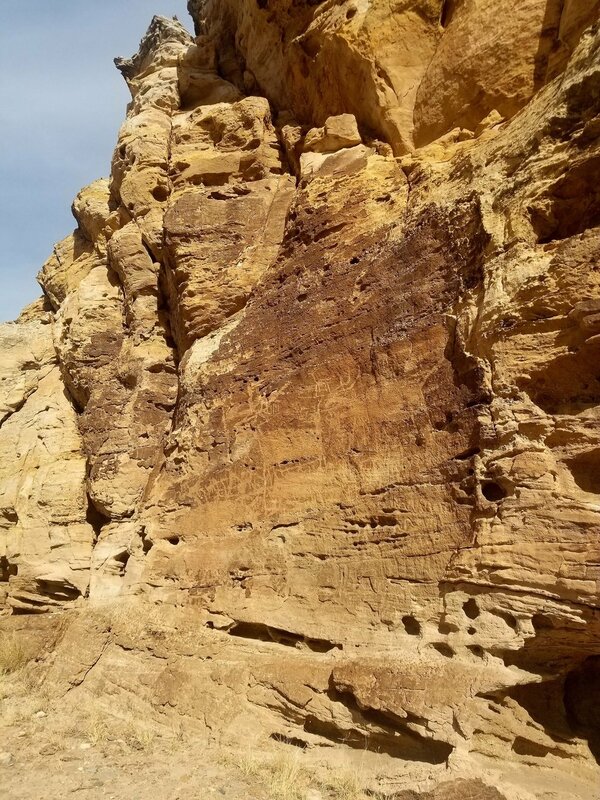 On this special guided hike, we will tour the Eagle Rock Shelter archaeological site in the Gunnison Gorge NCA, which is becoming one of the more significant archaeological sites in North America! Along the way, we'll follow the winding canyon of Lawhead Gulch, which contains ancient tidal channel and river deposits, as well as dinosaur tracks and a stone tool working site. Prepare yourself for amazing canyon vistas and an informative, once-in-a-lifetime learning experience!! We request that you do not bring your pup. The hike is roughly a two-mile loop, but the trail is somewhat steep in the first 1/4 mile. This hike is rated as intermediate. Eagle Rock Shelter has interpretive signs as well as visitor barriers to help both showcase and preserve this unique site. The canyons feeding into the Gunnison River are carved through steep sandstone. This hearth is over 10,000 years old; families warmed themselves and cooked over this long ago, and the descendents of those people still live in the area today. 152 million years ago a broad river system crossed the area; this canyon wall near Eagle Rock shows evidence of this.